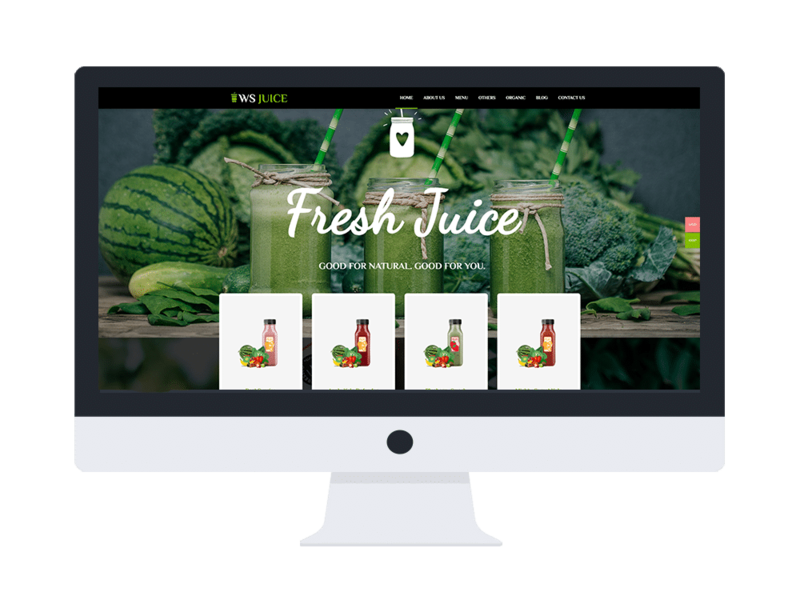 WS Juice is a free responsive smoothie website template which comes with elegant and fresh look, suitable for any coffee shops and juice bars to spread their business online. As an environmental friendly coffee shop, our developers have minimized design of WS Juice to have a simple but still professional appearance. Besides, the great content organization and eye-catching navigation effects of this theme make you easier to showcase all information of your store to everyone without making them bored while exploring your site. If you have a plan to open an online juice bar, then WS Juice will be a perfect solution for you, since it is equipped with Woocommerce, a powerful ecommerce platform for WordPress site. Moreover, this theme has been developed with the strong Genesis Framework, Page Builder by SiteOrigin as well as many latest website technologies, so you will get it easy to customize anything you want in your site. Especially, even mobile users can access your site with flawless look in 100% responsive layout, then it is no longer a problem to earn more mobile traffics. Sound amazing? Just grab the theme and enjoy the best experience ever!